Portable Coverstitch and Safety Stitch in one. 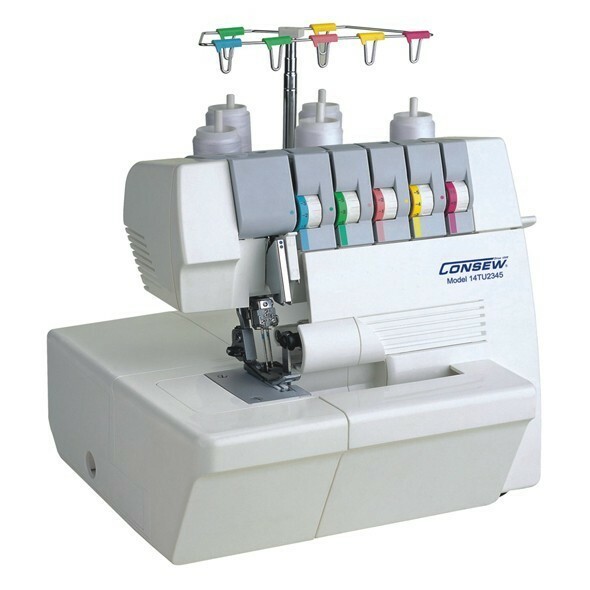 14TU2345 Thread Free-arm Serger, up to 7.7mm Wide Safety Stitch, 4mm Wide 2 Needle Cover Hem Stitch, Single Needle Straight Chain Stitch Machine. Needle guard prevents needle from bending or breaking when stitching heavyweight materials such as denim etc.